Examining the Conference Unbeatens: Which Teams Can Go the Distance? With one month left in the regular season, it’s no longer too early to consider which of the remaining conference unbeatens have a legitimate chance to enter March without a loss. So let’s dig in. (Chances of going unbeaten based on KenPom win probabilities). Gonzaga (25-0, 13-0 West Coast). America’s only remaining undefeated team, Gonzaga tops almost every relevant poll and metric thanks to nearly three full months of flawless basketball. Of the Bulldogs’ 25 wins, 22 have come by double-figures, including an astonishing 26.6-point margin of victory in conference play alone (with seven wins by 30-plus). Point guard Nigel Williams-Goss (15.8 PPG, 5.9 RPG, 4.7 APG) has been worthy of All-America consideration; freshman forward Zach Collins (10.8 PPG, 5.9 RPG) has been one of the most efficient players in the country; center Przemek Karnowski (12.1 PPG, 5.6 RPG), who was sidelined nearly all last season with a back injury, hasn’t missed a beat. It’s been an all-around remarkable season, especially for a unit whose top five scorers weren’t on the active roster in 2015-16. Up until last month, Gonzaga was projected to lose at Saint Mary’s—college basketball’s 16th-best team according to KenPom—this Saturday night. Now, the Bulldogs are favored to win by two. 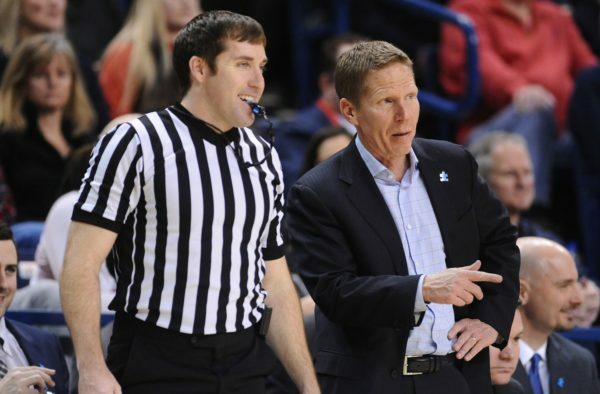 If they can escape Moraga unblemished, Mark Few’s team would almost certainly enter the postseason without a loss. Vermont (22-5, 12-0 America East). The fact that Vermont owns a commanding lead in the America East standings is not surprising; the Catamounts were expected to be good. It’s the fact that 10 of their 12 conference wins have come by double-figures that demands special attention. John Becker’s unit is exceptionally deep and balanced this season, with 11 different players seeing substantive minutes and no one player shouldering the bulk of the scoring load. Consider this: Vermont’s top scorer (Trae Bell-Haynes) averages 11.3 points per game; it’s fifth-leading scorer averages (Kurt Steidl) averages 8.8 PPG. Becker’s motion attack is predicated on finding the best shot (often inside the arc) irrespective of who’s taking it. As a result, the Catamounts are scoring points at their highest per-possession clip since he took over in 2011 and haven’t lost a game since December 21. 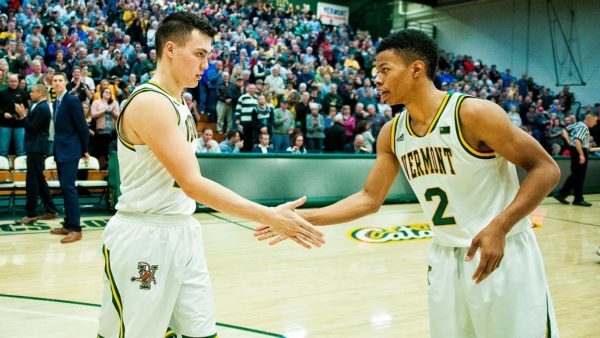 While a road trip to UMBC and a home tilt with Albany still loom, Vermont has an excellent chance to become the league’s first undefeated regular season champion since Delaware in 1991-92. Belmont (18-4, 12-0 Ohio Valley). This is Rick Byrd’s worst three-point shooting unit since 2010, which has resulted in an offense that—while good—isn’t quite as lethal as some of his teams in recent past. But it’s also Byrd’s best defensive club since 2013, which has allowed Belmont to dominate an otherwise mediocre OVC this season. And make no mistake—the offense seems to be coming around. In league play, the Bruins are scoring nearly 1.17 points per possession and knocking down shots from behind the arc at a substantially higher clip (39.4% 3FG) than they did during non-conference action. After some dreadful shooting early in the season (24% 3FG in non-conference play), former Virginia guard Taylor Barnette has rediscovered his stroke in recent weeks (42% 3FG since January 11). Still, this team goes as its All-American forward Evan Bradds (21.2 PPG, 8.7 RPG) goes. The 6’7″ senior, along with emergent stretch-four Amanze Egekeze, gives Belmont an unparalleled attack among OVC programs, able to spread opponents out with its exceptional ball movement in order to cash in at a high rate under the basket. At 62.0%, the Bruins are currently college basketball’s best two-point shooting team—just as they were a season ago. Although the odds say a conference loss is still possible, go ahead and bet against Belmont at your own risk. Princeton (13-6, 6-0 Ivy League). Despite dropping six of its first 10 games and losing two of its best players for the season—Henry Caruso and Hans Brase—Princeton has managed to right the ship just in time for conference play. The Tigers already own wins over Yale and Harvard, the Ivy League’s next best teams, including a narrow road win in Cambridge last weekend. Partly out of necessity, coach Mitch Henderson has trotted out small, guard-heavy lineups that have been mistake-free with the basketball (12th-best offensive turnover rate nationally) and very effective from the perimeter (42.3% of all points from three-point range). The emergence of sophomore Myles Stephens (10.6 PPG) and vastly improved play from guard Amir Bell (10.8 PPG in Ivy League games) has also helped. Still, more than half of Princeton’s conference slate remains, including trips to Yale (a projected loss) and Columbia. The last Ivy program to go undefeated was Cornell in 2007-08, and while the advanced metrics tell us this year’s Tigers are better than that Big Red group, the conference as a whole is also much better—and deeper—than it was nine years ago. Count on Princeton losing at least once before Selection Sunday. This entry was posted on Friday, February 10th, 2017 at 9:01 am by Tommy Lemoine	and is filed under feature, microsites, other 26. Tagged: america east, belmont, evan bradds, gonzaga, hans brase, harvard, henry caruso, ivy league, john becker, mark few, marvin menzies, mitch henderson, new mexico state, Nigel Williams-Goss, ohio valley, Paul Weir, princeton, przemek karnowski, rick byrd, vermont, wac, west coast conference, yale. You can follow any responses to this entry through the RSS 2.0 feed. You can leave a response, or trackback from your own site.